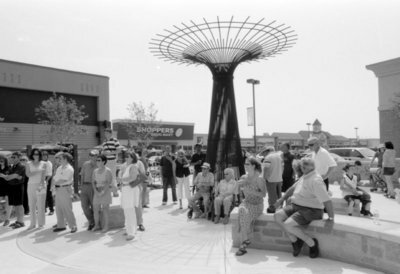 A black and white photograph of the official opening of Brooklin Landmark Square. Roy and Thelma Ormiston are seated in front of the wheat sheaf sculpture. Brooklin Landmark Square, June 17, 2006, Carl Ferencz. Whitby Archives A2013_019_007C.